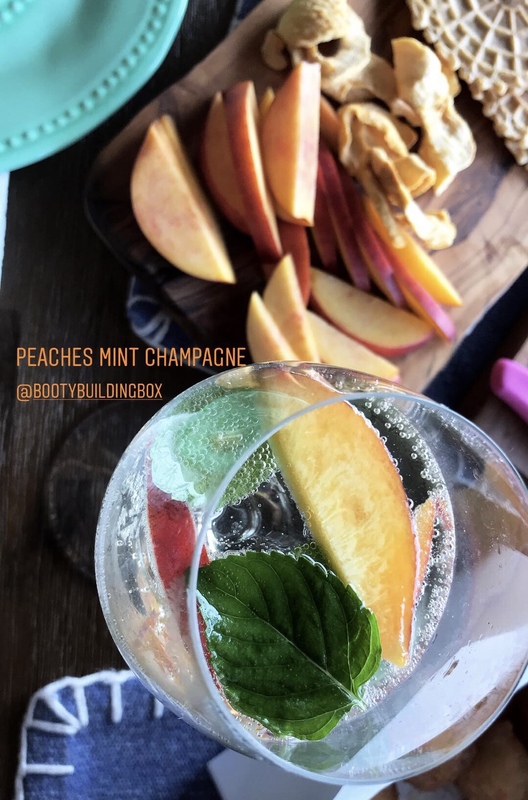 Cheers to some tasty champagne, in honour of Peach Month!! Make sure to keep posted for our second weekly special starting Aug. 10th. Adding fruit and herbs can add so much flavour to alcoholic beverages but most importantly also just plain water and soda water. The Bootybuildingbox programs are all about balance and lifestyle. If you’re going to consume alcoholic beverages, keep it to non training days to avoid dehydration and prevention of muscle repair. And always make sure to rehydrate 2 glasses of water for every glass of alcohol. Tip; if you over indulge in alcohol wake up the next morning and have high potassium fruits like avocado and coconuts along with plenty of water.